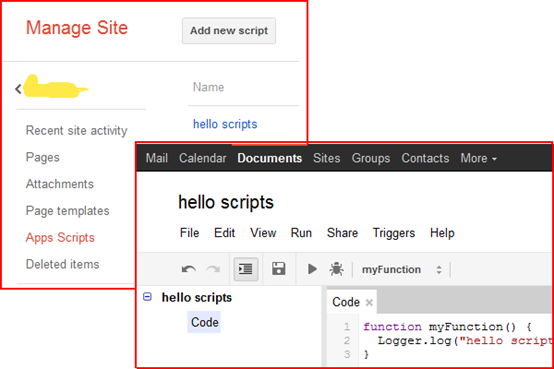 After years of development, Google Sites has become a powerful website platform like Microsoft SharePoint. It provides hundreds of templates which will make you very easy to build a site, no matter if it is for project management, intranet content management or the portal of your business. The integration of other Google products i.e. Calendar, YouTube, Documents and etc. gives you a fantastic experience on sharing information. I would like to summarise some impressive features that really attract me. Google Sites supports web address mapping. If you are a Google Apps user, you probably would like to use your domain URLs for the sites which will make your sites more professional. You cannot run a website effective without considering SEO. Most visits of a modern website are from search engines like Google, Bing etc. Certainly, folks at Google have considered about this, and they have given the Google Sites an ability to easily integrate other SEO products i.e. 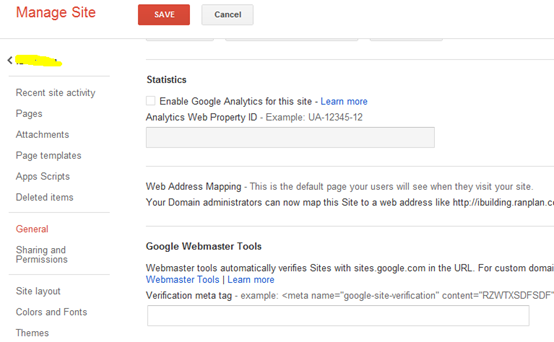 Google Analytics and Google Webmaster Tools. You just need to open your site’s configuration page and type in your profile ID or verification meta tag, that is it! The Scripts enable you to add custom operations at any time. And you even do not need to leave your browser to edit the scripts. We have been in a mobile internet world since years ago. Smart phones and tablets come to people’s daily life. So it is important to make your site friendly to mobile devices. 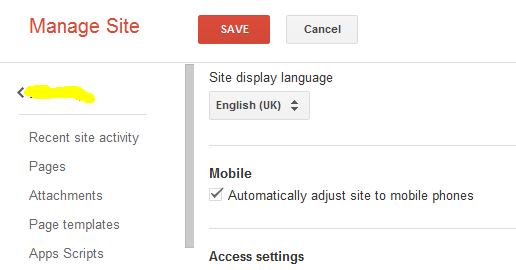 This is an easy job by using Google Sites; it is done by ticking a check box. In this post, I have shown four features that are really great to me. I personally think that Google Sites is totally enough for a small business. You do not have to know much about the programing, website development. What you need to do are only a couple of clicks. If there is any friend who is interested with this, I would like to help you with pleasure. Contact me through here.